After being in the cooler climes of Scandinavia it is a shock to be back in the heat of California. Although the morning is cool (in the upper 50’s) by the afternoon it is 93F! A dinner that does not heat up the house is a good idea. So we fix burgers on the grill and a Caprese salad. 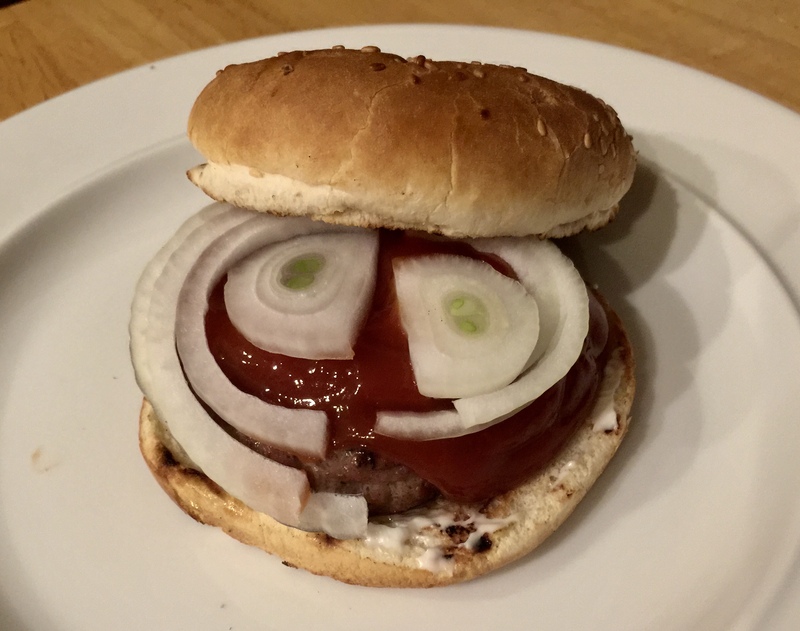 My burger has onion google eyes! Since we have been away for three weeks our daughter is imploring us to eat up the tomatoes. I think she is a little tomato-ed out. 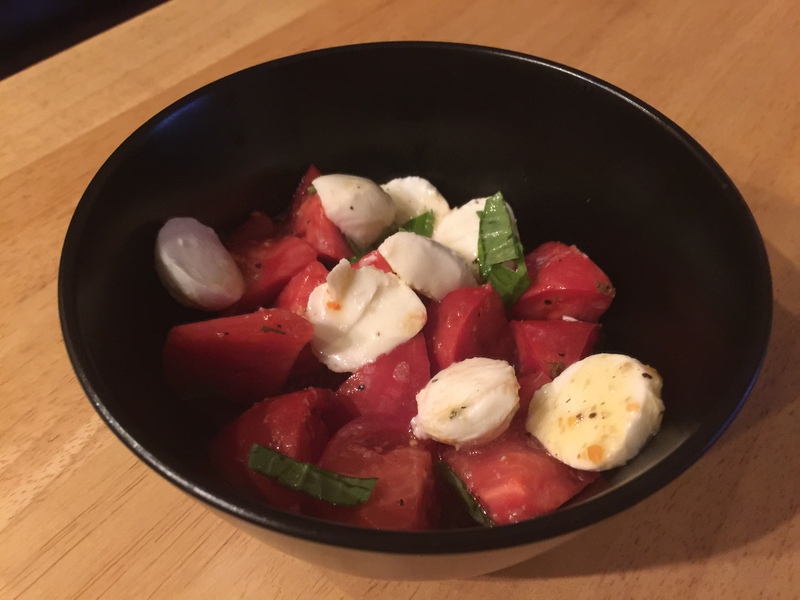 Using some small mozzarella rounds, some basil from the backyard and a ripe tomato from her garden we enjoy a light Caprese salad with our grilled hamburgers. This entry was posted in American, Beef, Grilling, Vegetables and tagged basil, caprese salad, hamburgers, mozzarella, tomatoes. Bookmark the permalink.